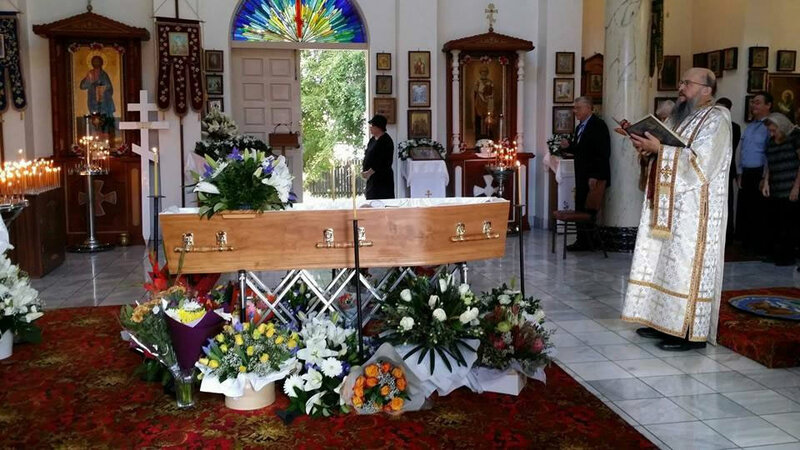 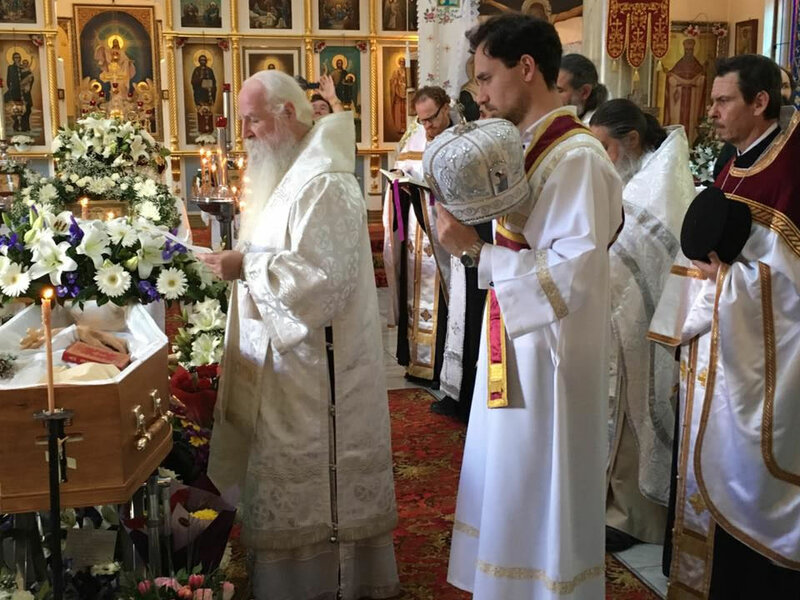 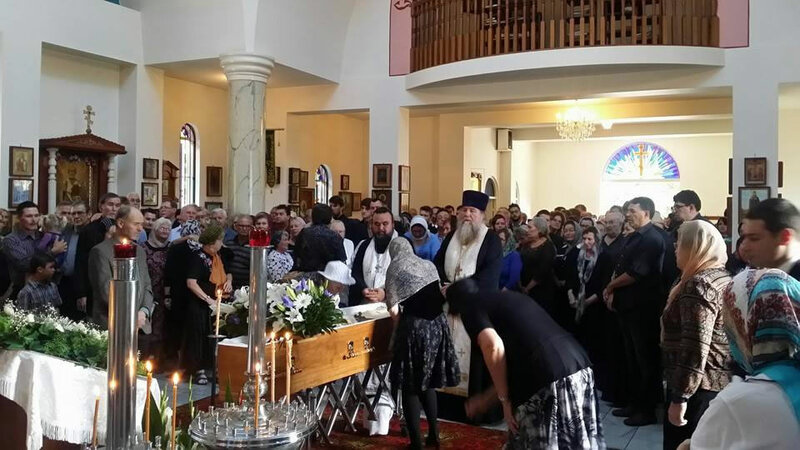 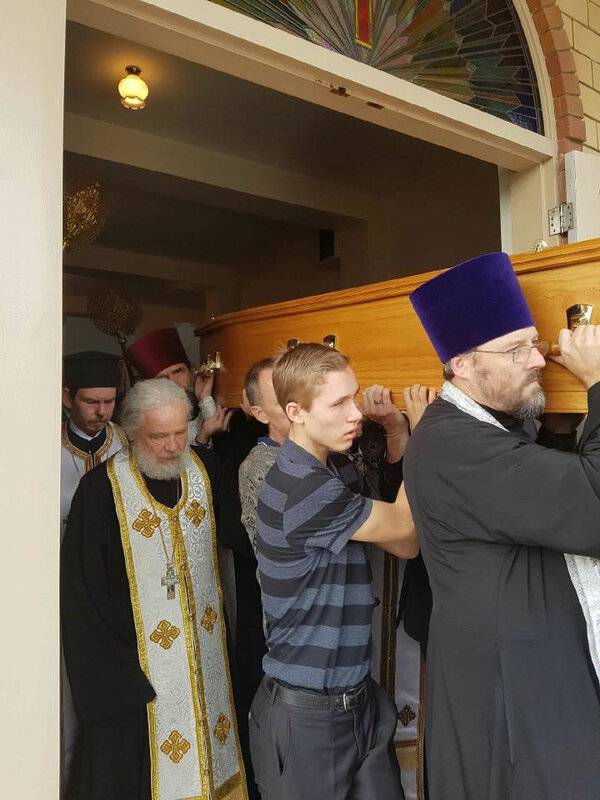 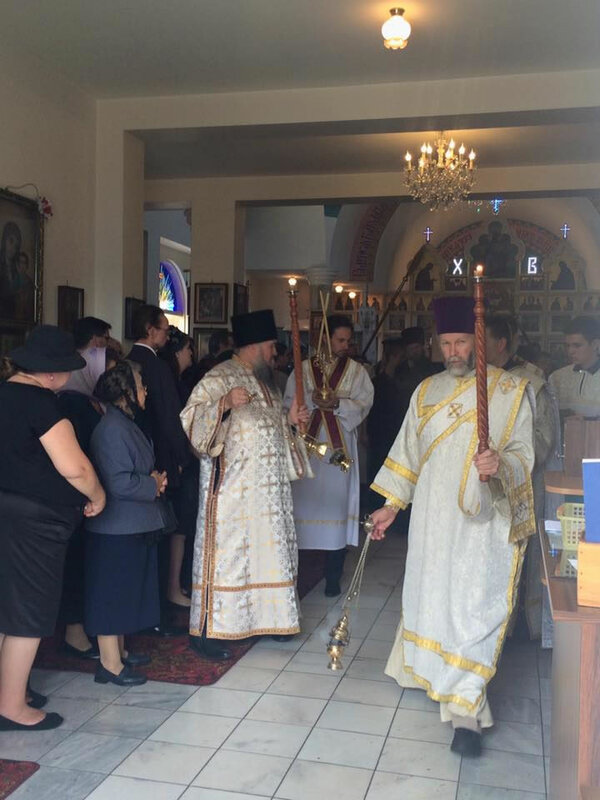 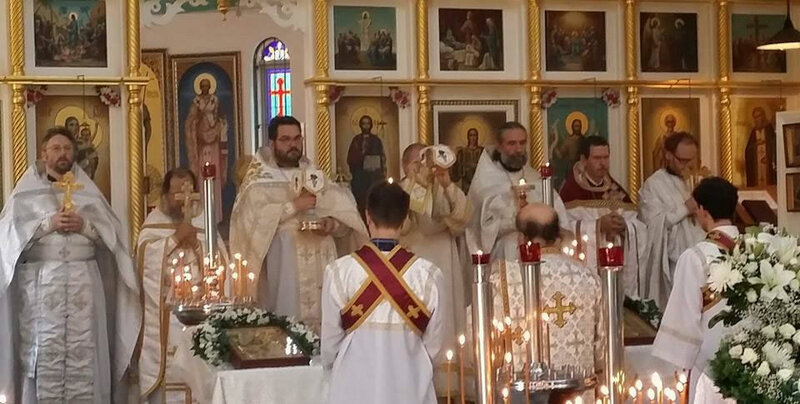 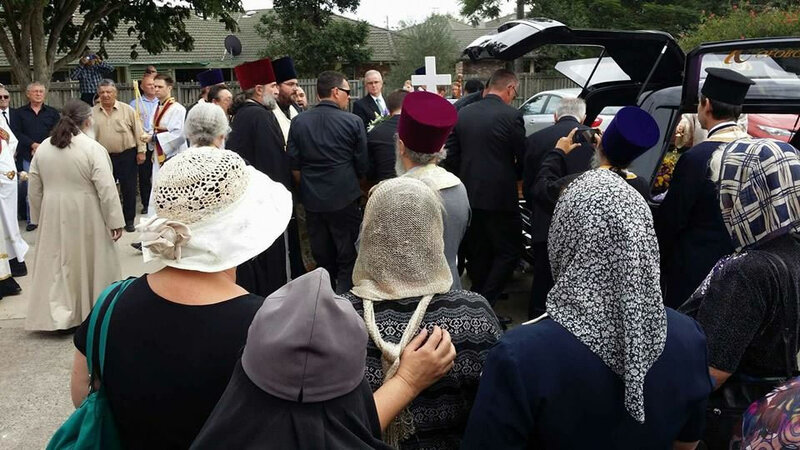 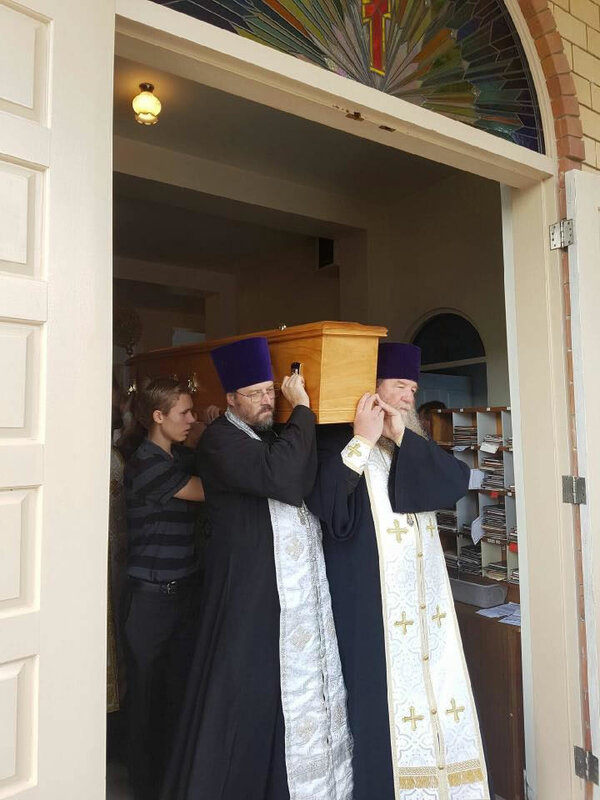 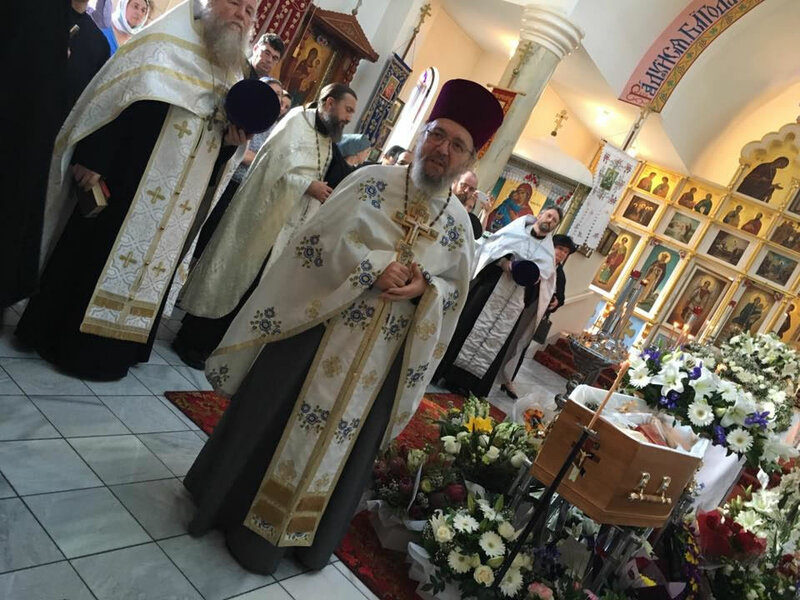 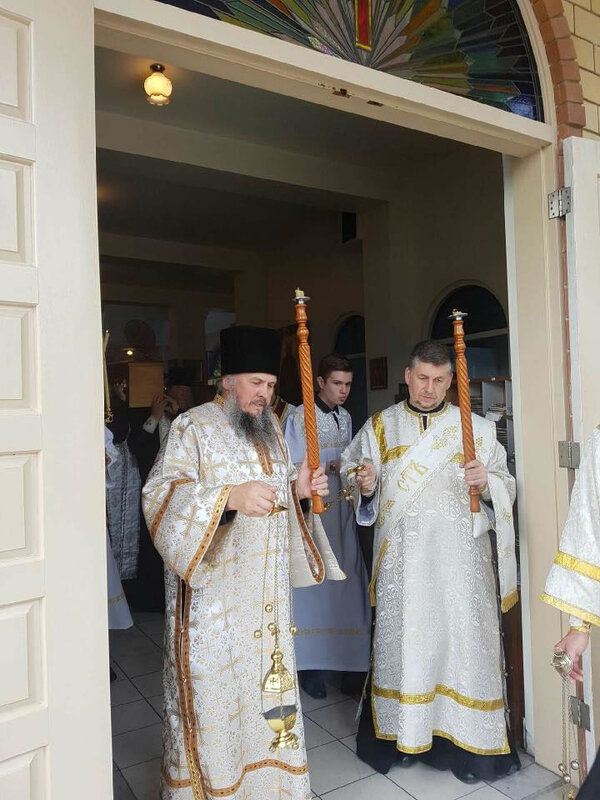 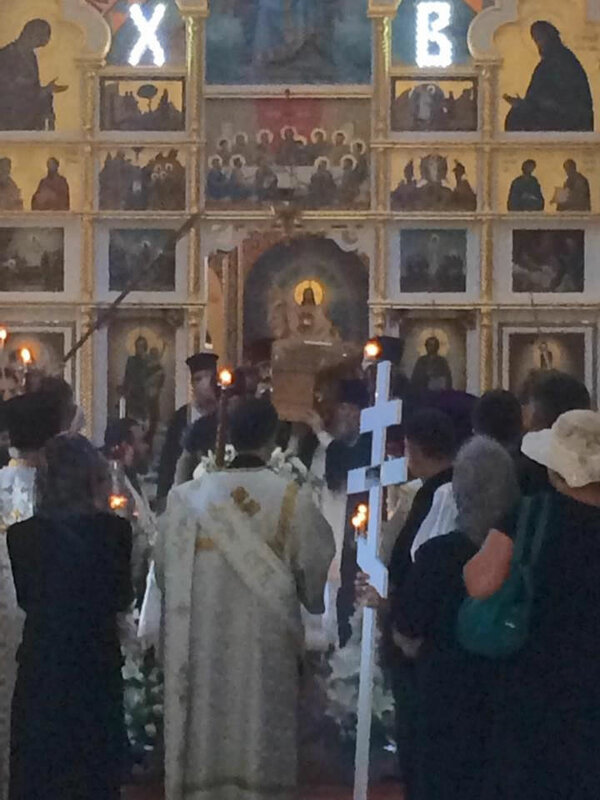 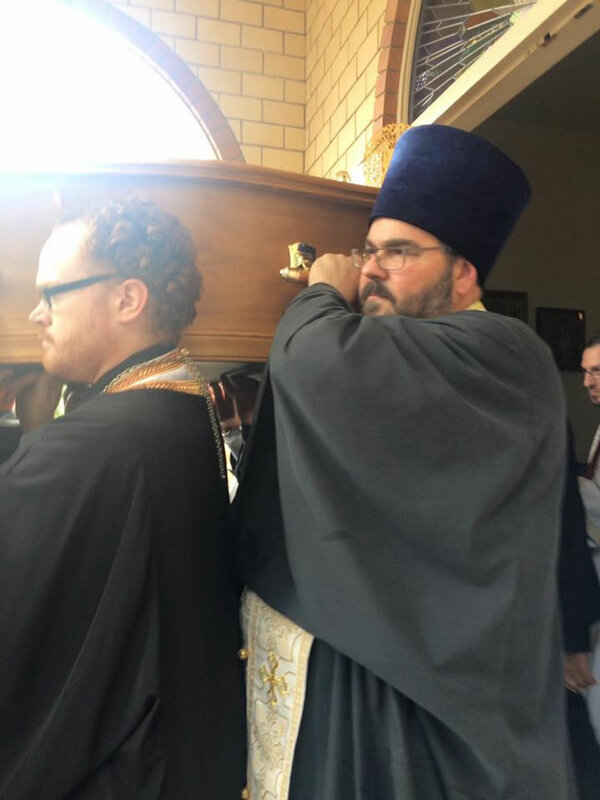 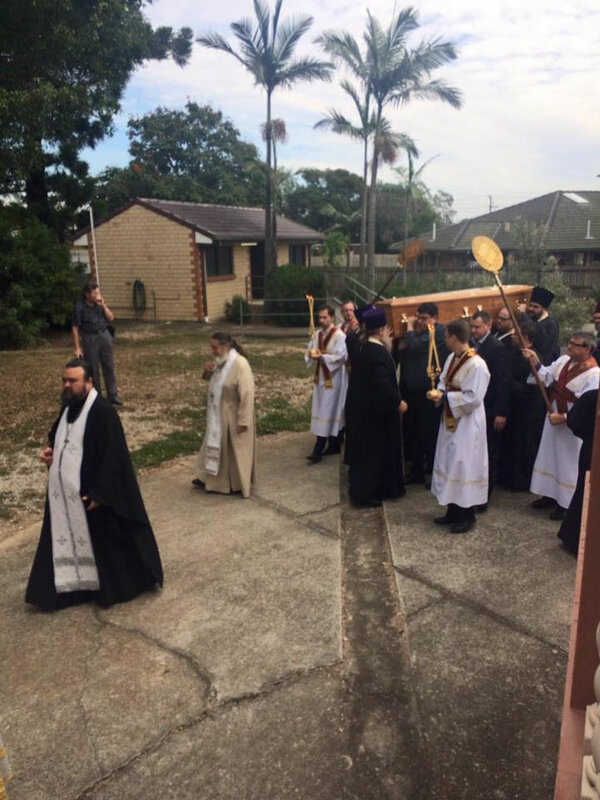 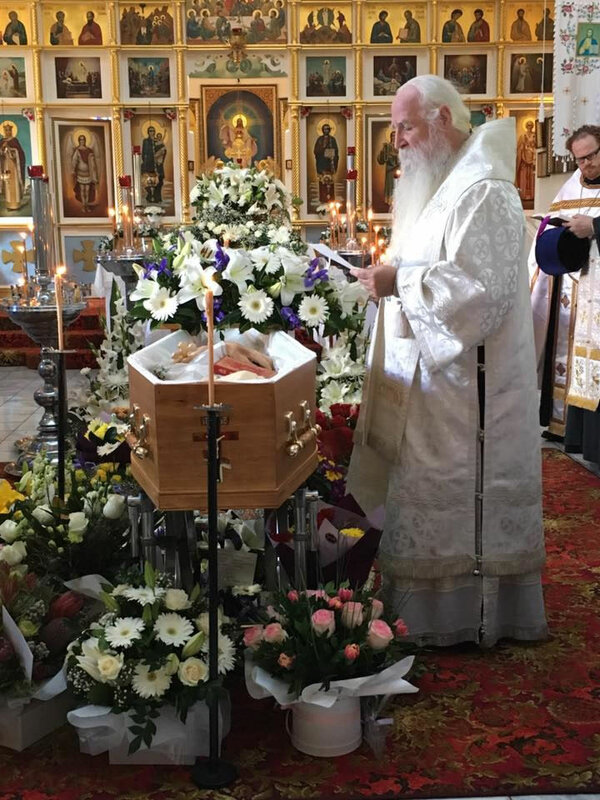 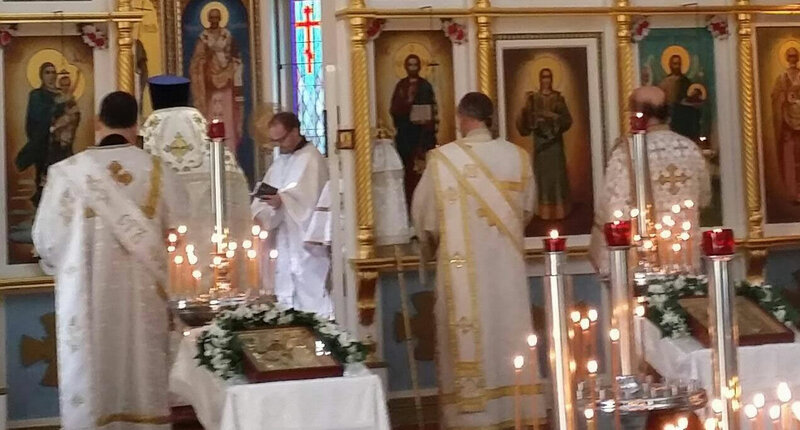 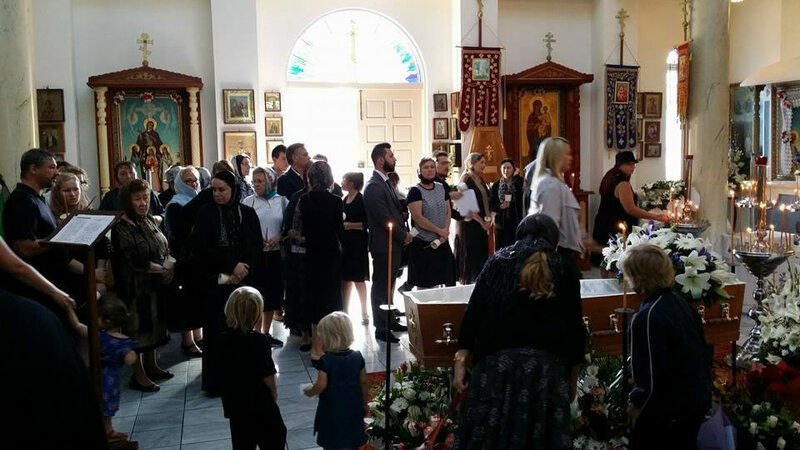 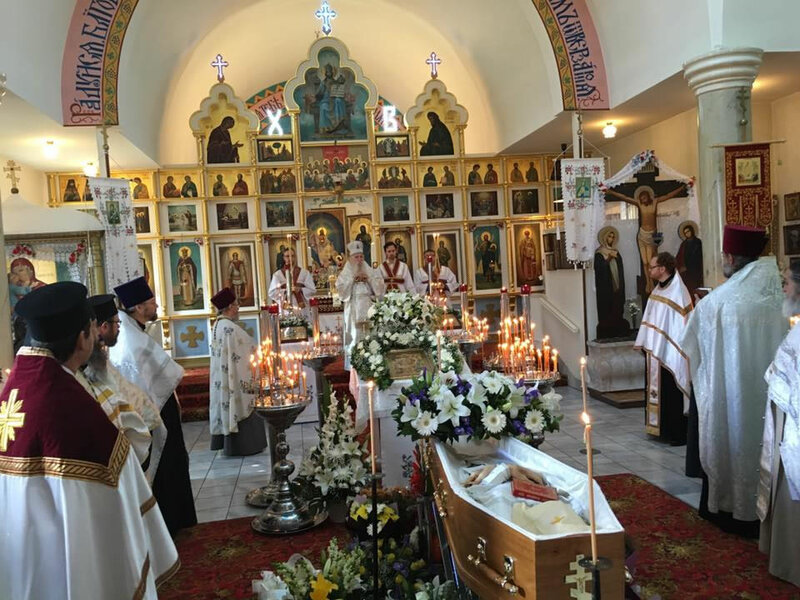 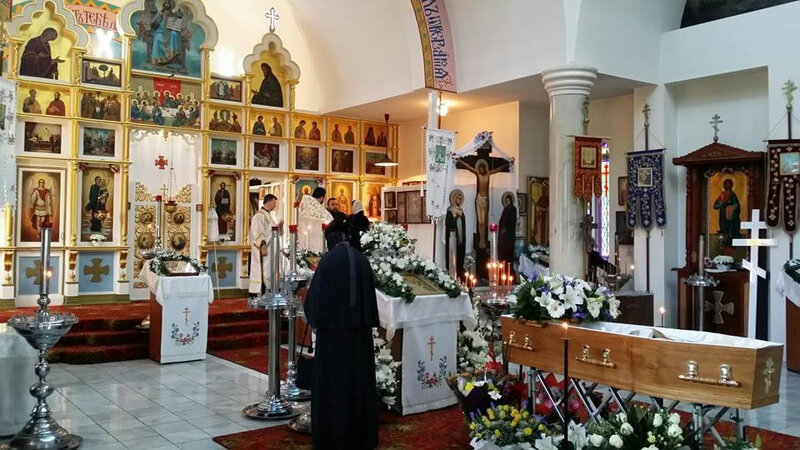 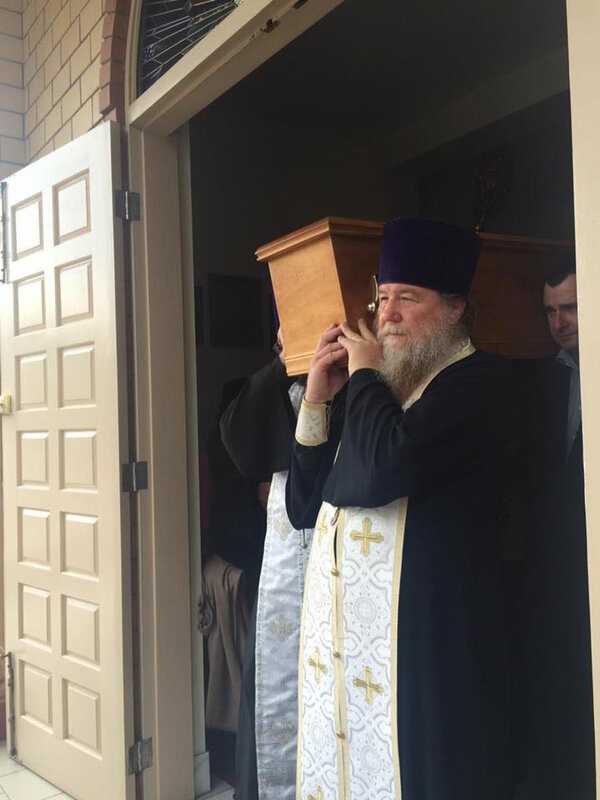 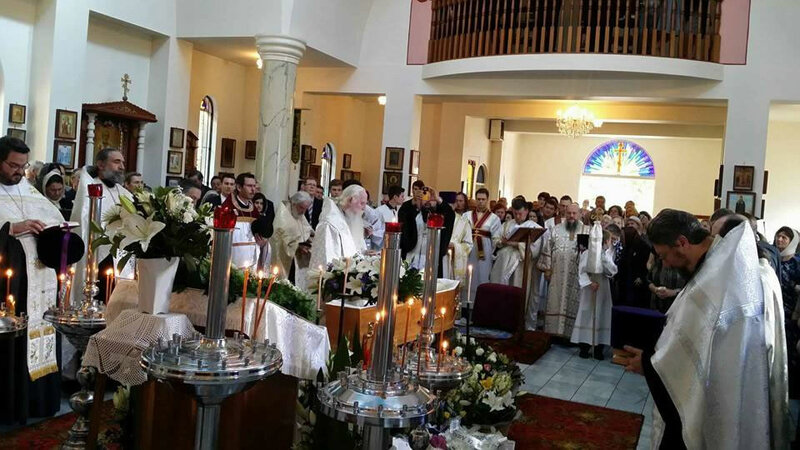 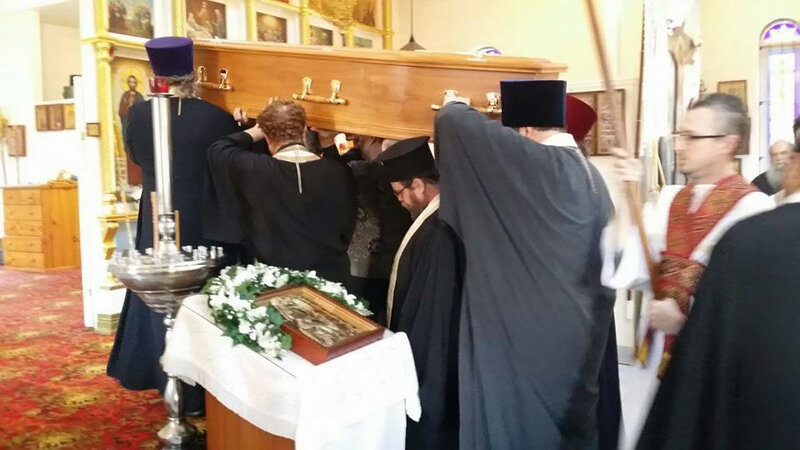 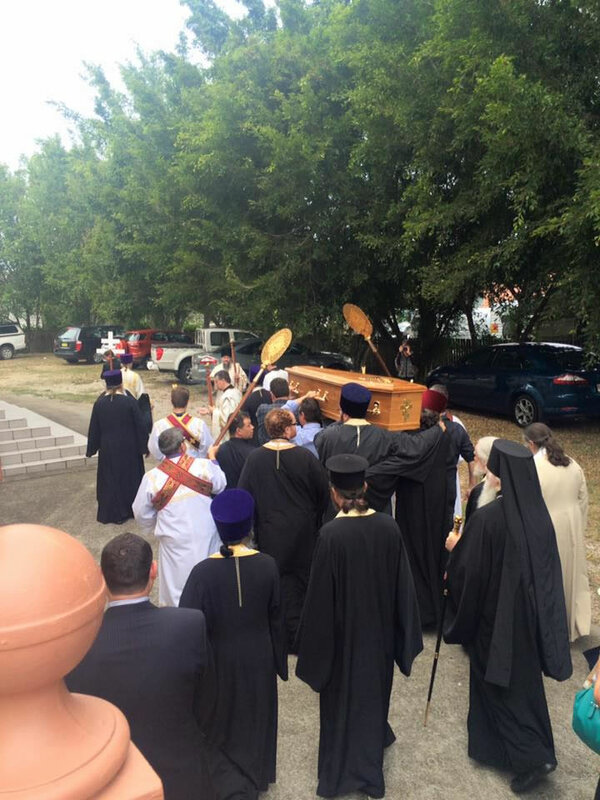 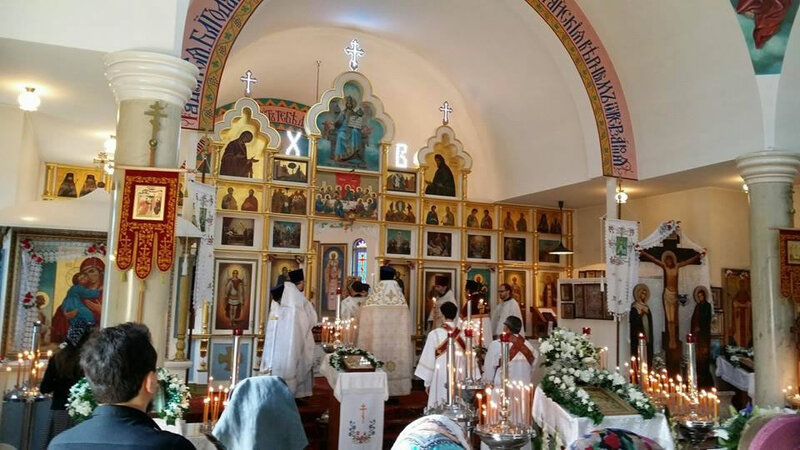 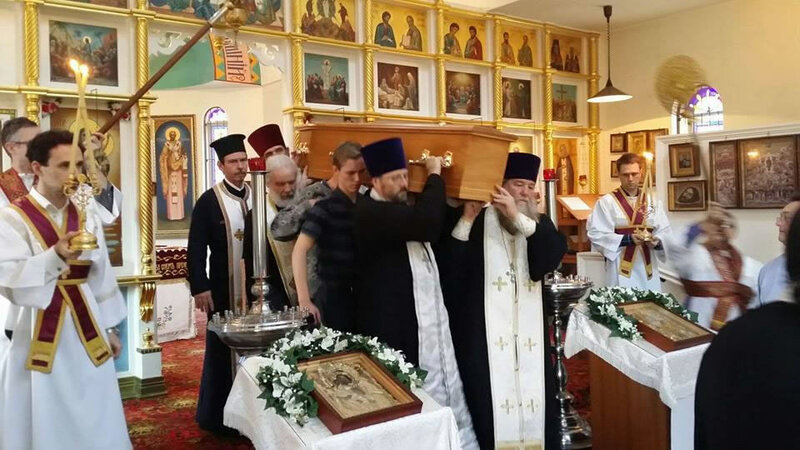 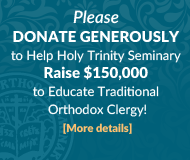 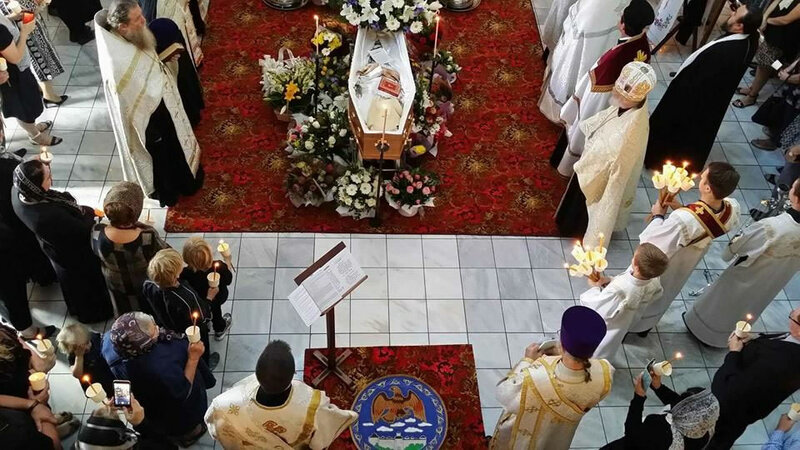 On Thursday, May 19, 2016, the feast day of Prophet Job the Much-Suffering, His Grace Bishop George of Canberra, Vicar of the Diocese of Australia and New Zealand, celebrated Divine Liturgy at the Vladimir Icon of the Mother of God Church in Rocklea after which he officiated at the funeral of the late Mitred Protopriest Michael Klebansky. 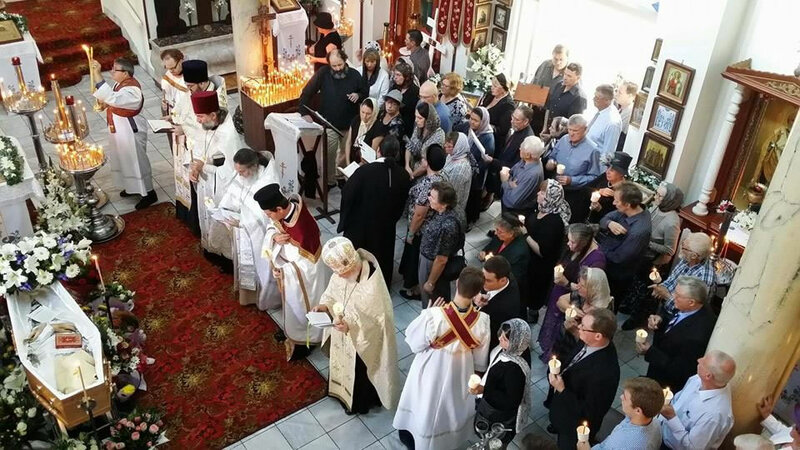 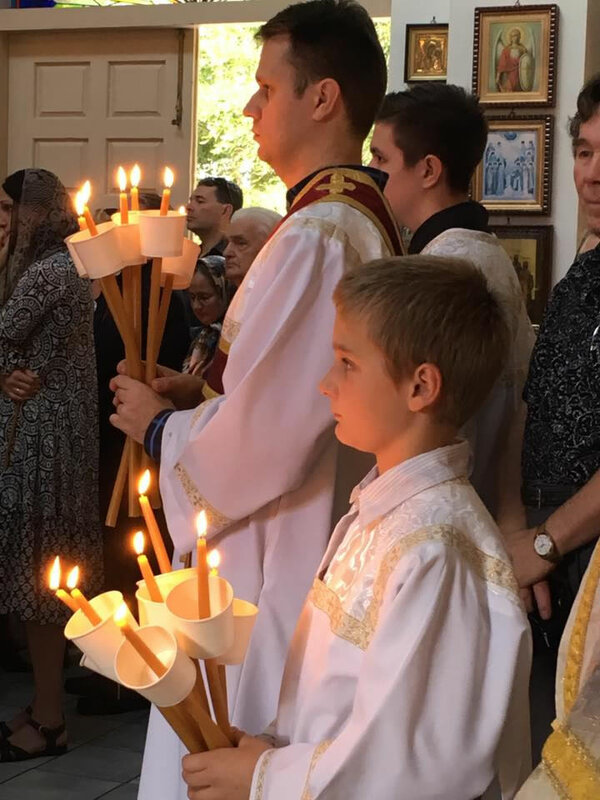 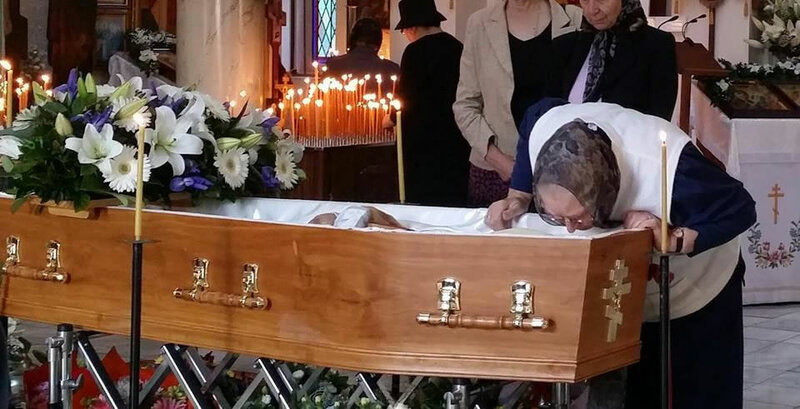 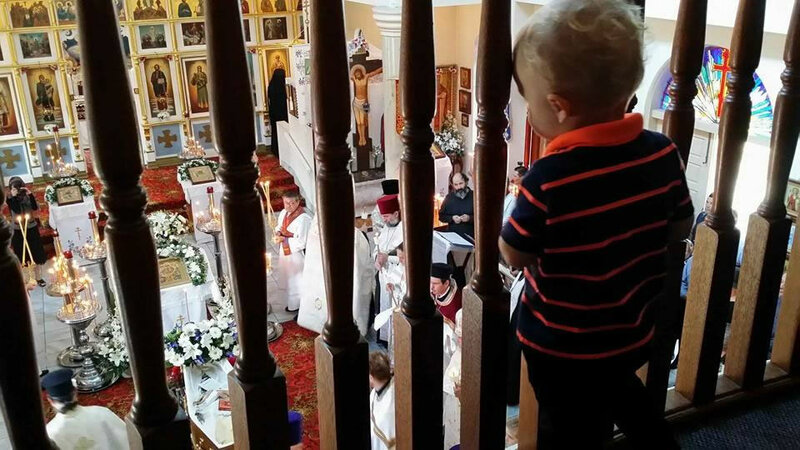 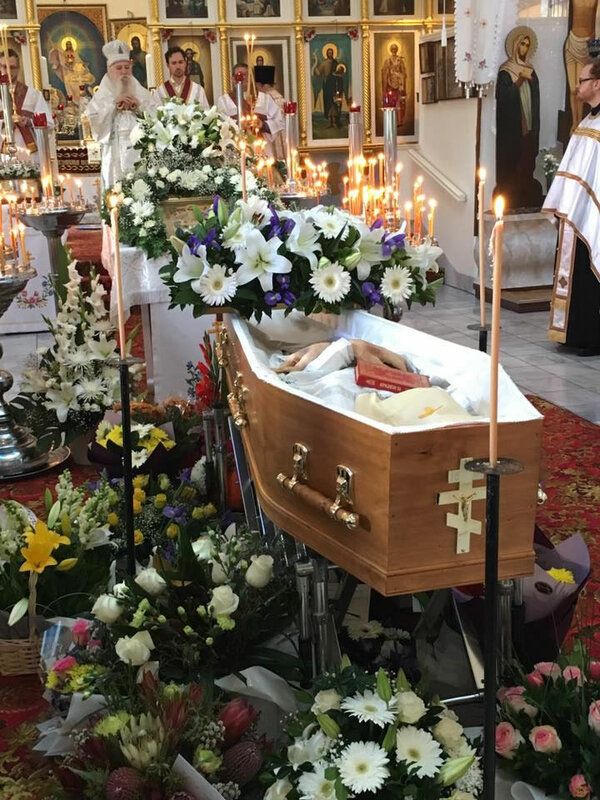 He was joined by 15 priests, three deacons and a large gathering of worshipers, among whom were relatives and the many followers of the late priest. 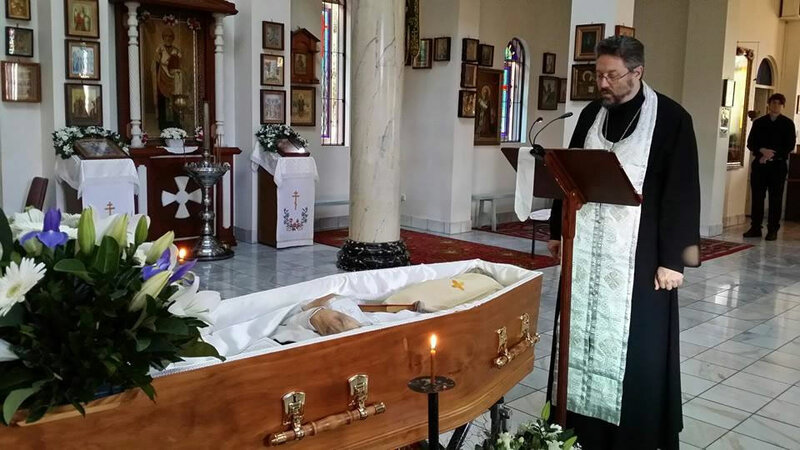 May Fr Michael be granted the Kingdon of Heaven and eternal rest!